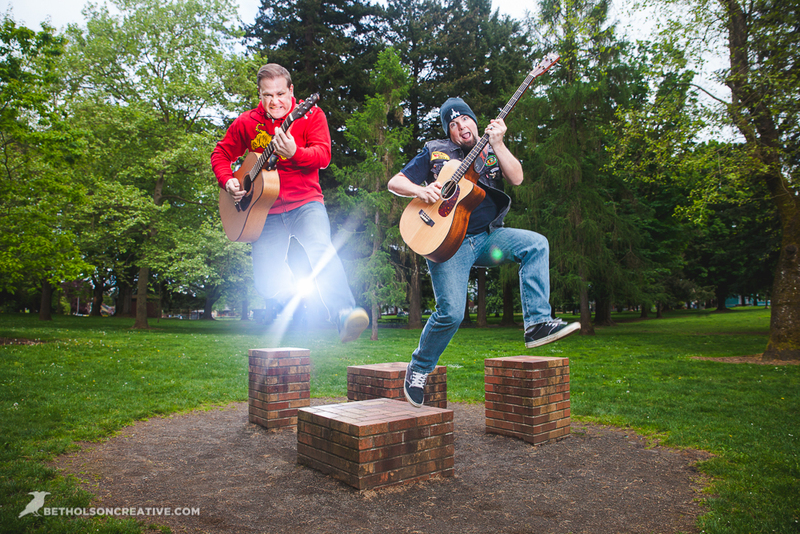 MEGATHRUSTER is two geeks from Oregon, armed with acoustic guitars to bring their special blend of funny nerd rock to the masses. Described as “Tenacious D meets Jonathan Colton”, the duo have taken their funny and energetic stage show all over the Pacific Northwest as well as events such as FumpFest in Chicago and Gencon in Indianapolis. Their debut album, “20 Sided Vice” was released in April of 2016 and they were also nominated for a 2016 Logan Award for Best Comedy Song for their hit, “It’s Rough to Be a Hufflepuff”. 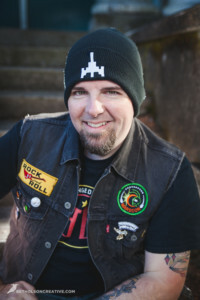 Chris Waffle (lead vocals and bass) moved to Portland from a state to thesouth which shall not be named. 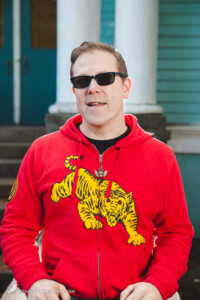 He started writing and releasing nerd rock albums in 2005 as part of his former band Hot Waffles. The origin of his clever, goofy, nerd rock songwriting super power is said to have begun when, after endless hours of playing Castlevania, he finally beat the final boss. In a raw, visceral, joy, he threw his controller down in victory only to watch on in horror as a gargoyle dropped down to begin a second final fight. With virtually no life left, and the controller half way across the room, he watched helplessly as he died on the brink of greatness. In rage and grief, he vowed to find greatness one day in the only way he knew how – writing songs, singing about nerd pop culture, and perhaps one day facing the gargoyle again – face to face, man to man.